The traditional recipe for the family's favorite soup dish. 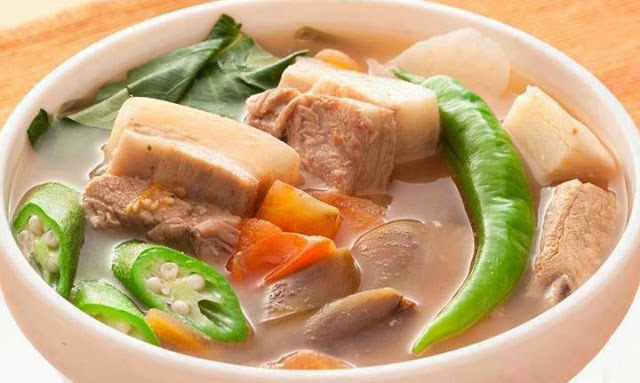 Pork is a source of B-vitamins which is needed for energy metabolism. Kris uses Thai fish sauce for her recipe but it may be replaced with any fish sauce brand readily available in the market. 2. Add water and continue cooking for another 20 minutes. 3. Add radish and sitaw giving at least 2 minutes interval before each addition. 4. Add siling haba. Stir in MAGGI Sinigang. Bring to a boil then add kangkong.